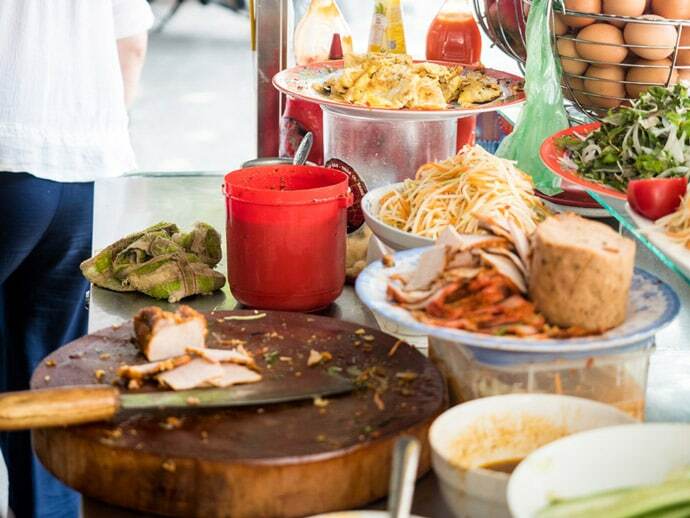 It’s easy to fall in love with Vietnamese street food. 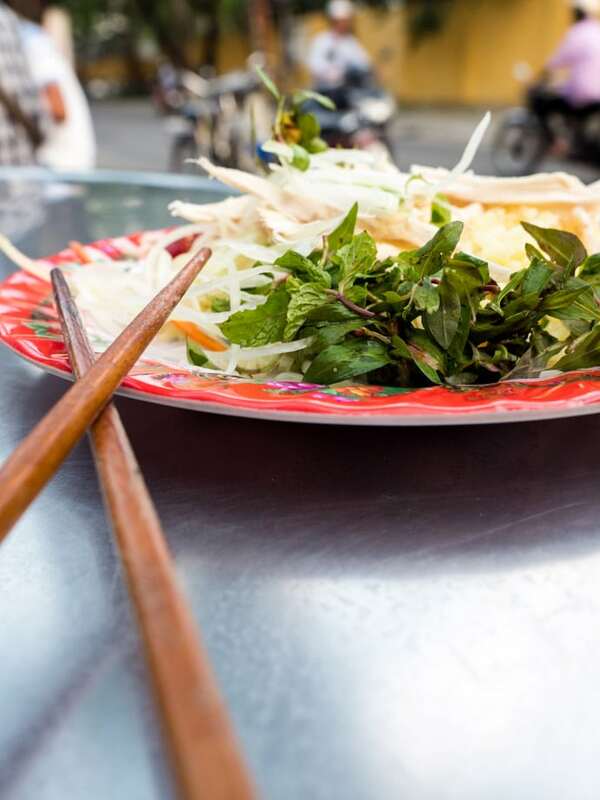 Some of my favourite Vietnamese dishes and Vietnamese food experiences can be found in Hoi An. 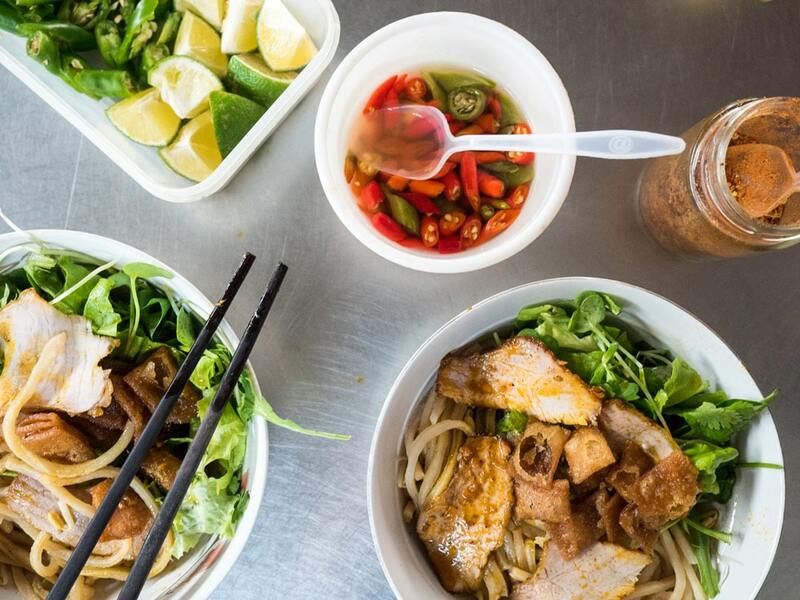 From starting mornings with a bowl of pho to crunchy through a Banh Mi at lunch. 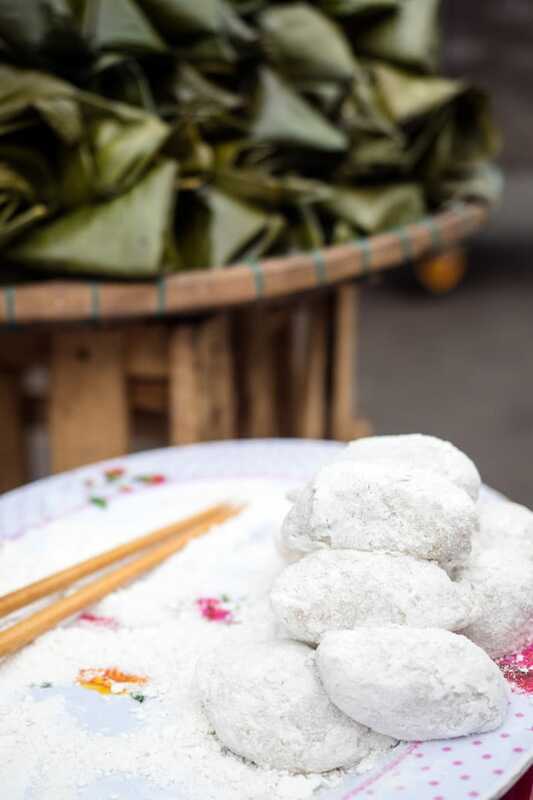 After spending 3 months trying many different dishes and places, here are our favourite Hoi An Street Food picks. 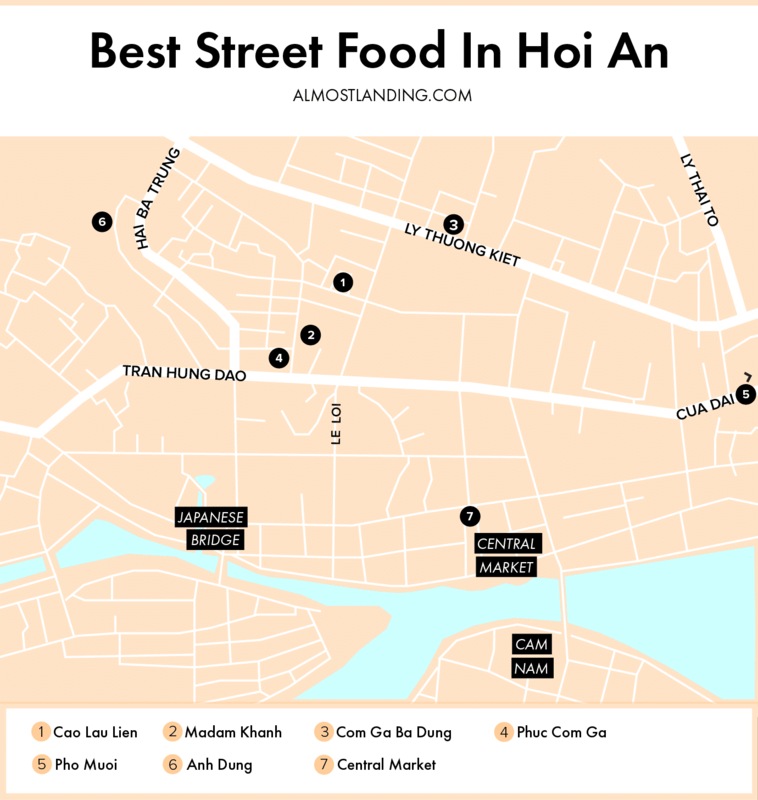 A Hoi An Street Food map so you always know what delicious food is close by… ( + printable pdf map at the end). The home of my favourite Cao lau, a delicious Hoi An dish made from pork, local greens and cao lau noodles. Cao lau noodles are made with water from the local well and it gives them a unique taste and chewiness. This is one of my favourite Vietnamese dishes. 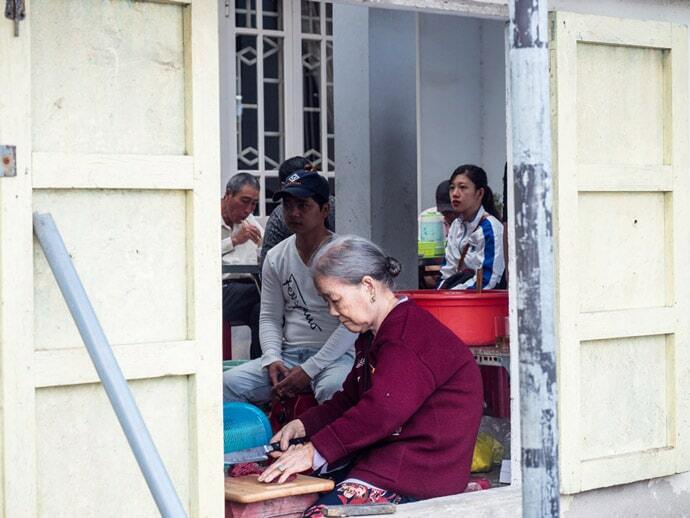 At Cao Lau Lien you will find a few tables and chairs, and lovely ladies creating their dish out the front. Definitely one of my favourite places for Hoi An Street Food. My absolute favourite Banh Mi (Vietnamese Pork Roll) in Vietnam. Obviously I haven’t tried them all, but I’ve had a lot. 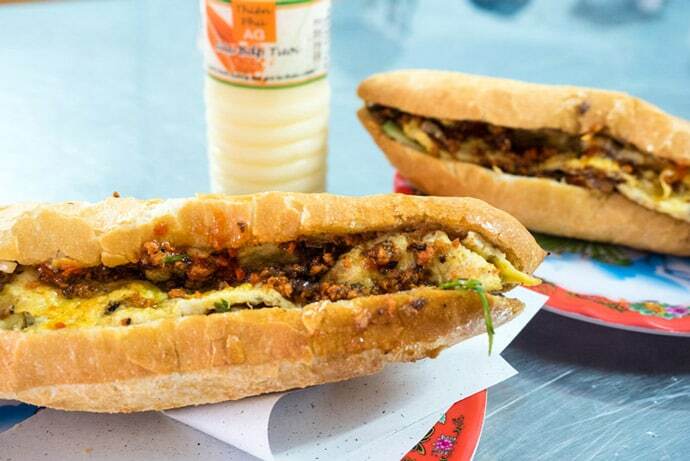 We’ve had Banh Mi all over Vietnam, and we’ve also tried many different popular and unknown banh mi in Hoi An. Madam Khanh always comes out on top. The only drawback of Madam Khanh is it can be very busy and touristy. Fortunately, this hasn’t changed the taste or quality of the Banh Mi. 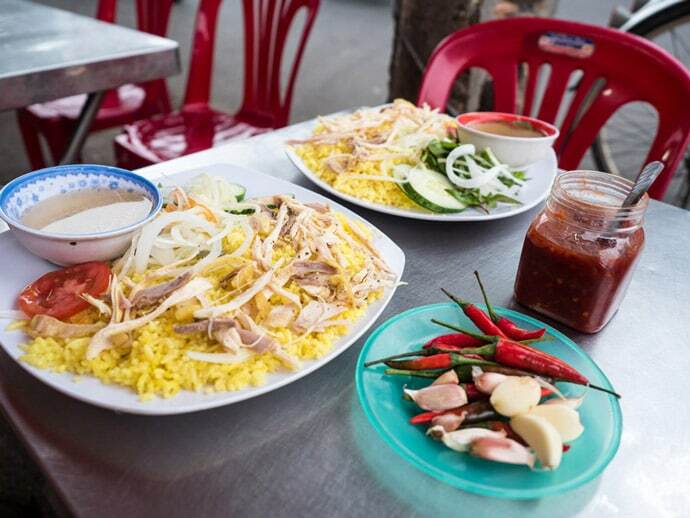 A delicious Com Ga, or Vietnamese Chicken Rice, frequented by locals. Sit at one of the tables on the street and enjoy this simple but tasty dish. 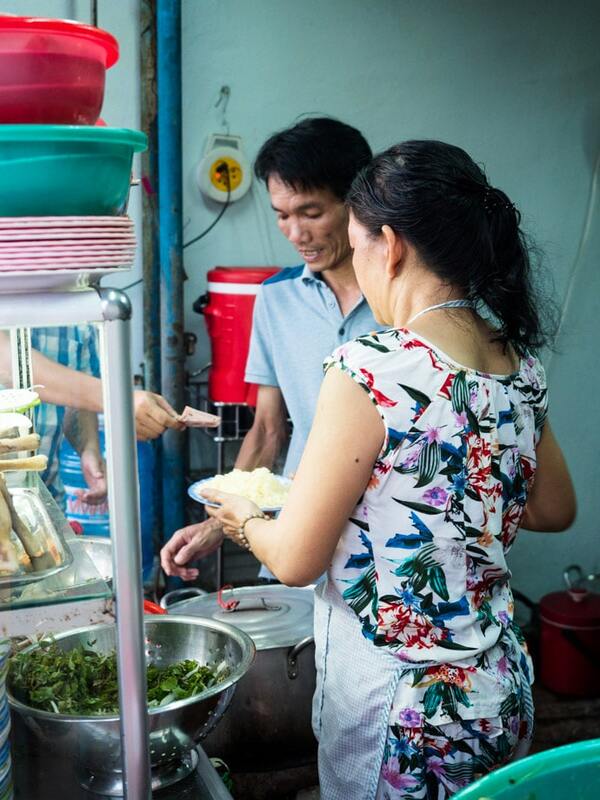 We go here in the evenings and this is our favourite chicken rice we’ve tried in Hoi An. Another great spot for Com Ga, I love the little chair and table set up along the street. Come here in the evening. 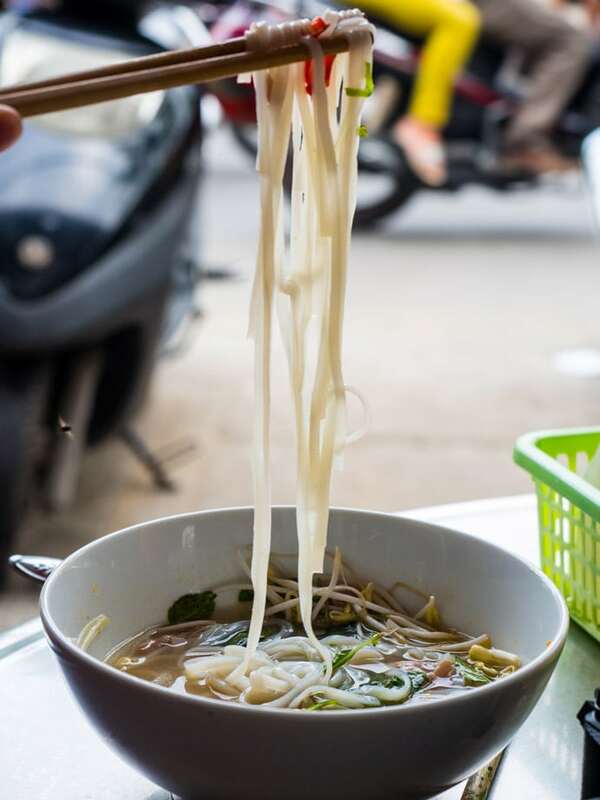 My favourite pho bo (Vietnamese noodle soup with a beef broth) in Vietnam. Again, I haven’t tried them all, but this one’s a gem. 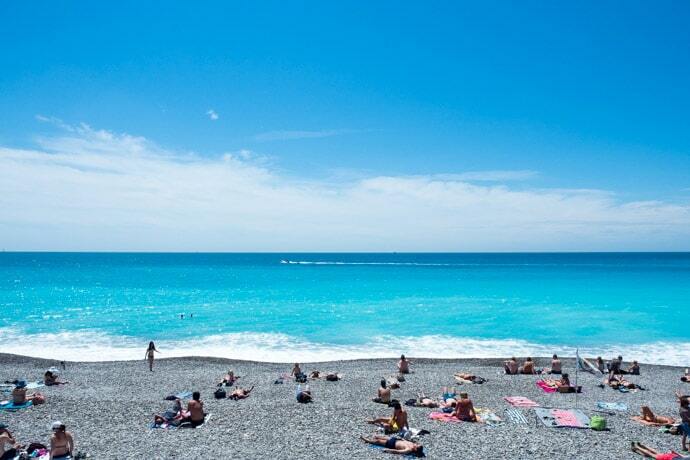 The whole experience is great and the service is friendly. Just take a seat and the pho will come to you, no need to order. First will come the plate of herbs, soon to be followed by pho. They are always busy and often sell out by 8 am or 8.30am. Try and get there by 7.30am or at least before 8 am. 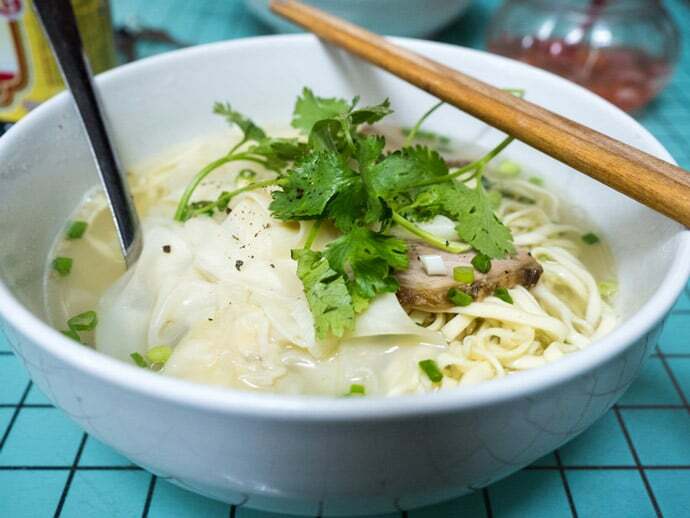 Anh Dung is a rustic restaurant serving Hoanh Thanh or wonton noodle soup. A great dish especially on a crisp evening. 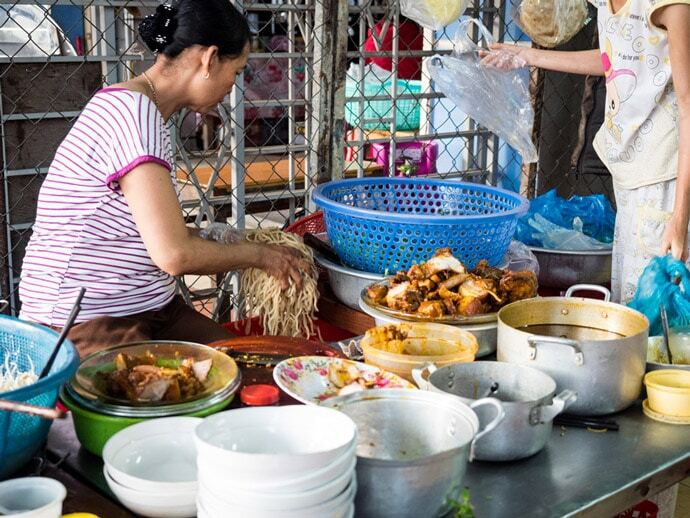 The restaurant can be a little bare at times but they do a steady takeaway service (mainly of the uncooked wontons themselves for the locals). The only thing we found was that opening times can vary, some days it wasn’t open but this perhaps could have been to do with local religious days. 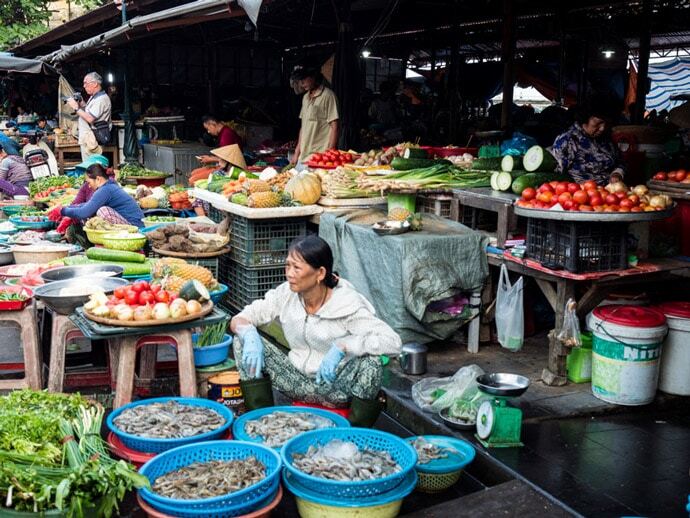 The central market in Hoi An has a covered section where there are many food stalls. 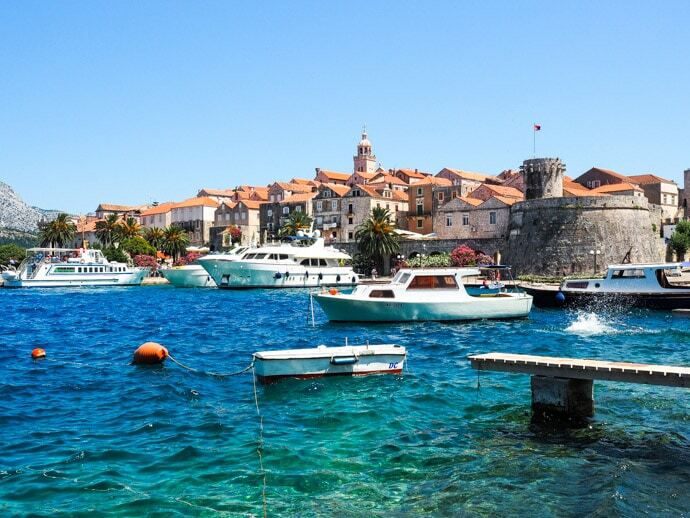 Take your pick, it’s a great place to try some traditional food. 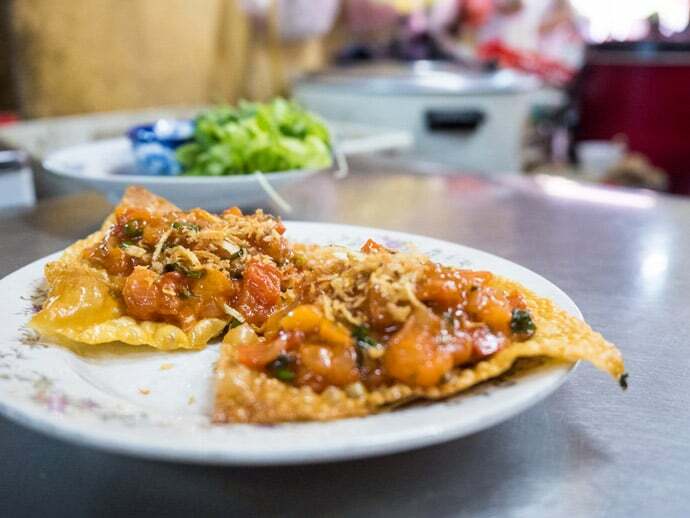 We have tried Banh Xeo (Vietnamese pancake), Hoanh Thanh Chien (fried wontons with tomato topping) and a pork noodle dish here. Most of the time they have been delicious but occasionally we have a bit of a miss. 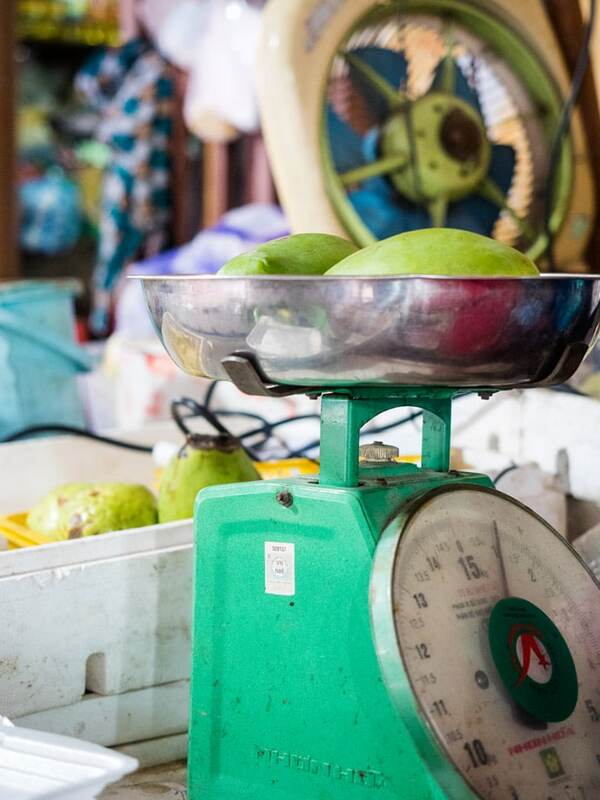 You can also visit the outdoor market to try some local fruit like green mango and dragon fruit. 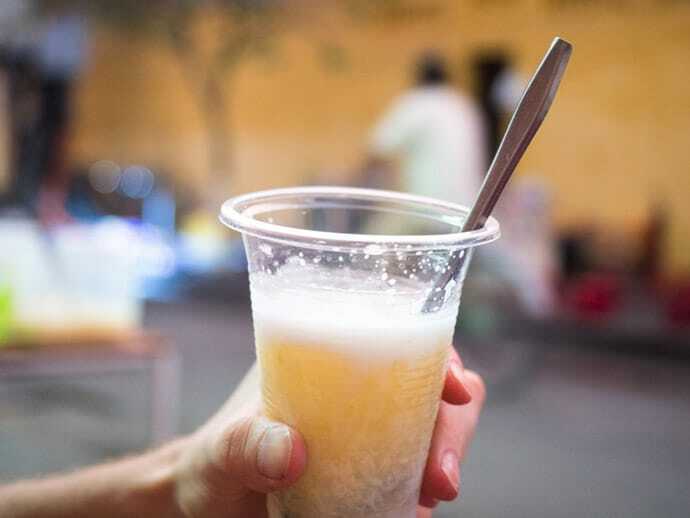 Other street food we loved were Chè bắp, a sweet gelatinous dessert made with sweet corn and coconut milk. 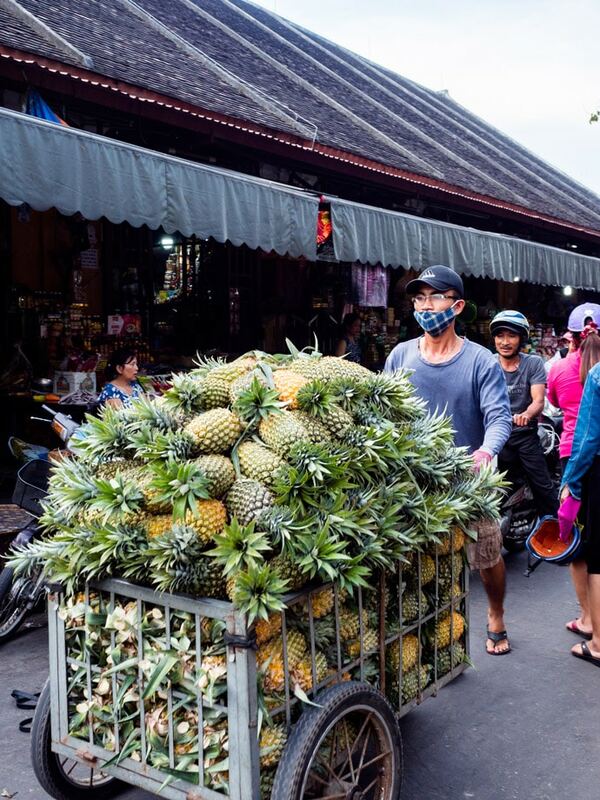 We found one of these stall’s in Le Loi street. There are also many stalls with Mango cakes that you can try in the old town. Mango cakes are a dessert made from sticky rice, sugar and peanuts (no mango inside whatsoever). If you’re wanting to sit by the river for a traditional meal, there is an area near the Japanese Bridge along the river that has many different stalls. 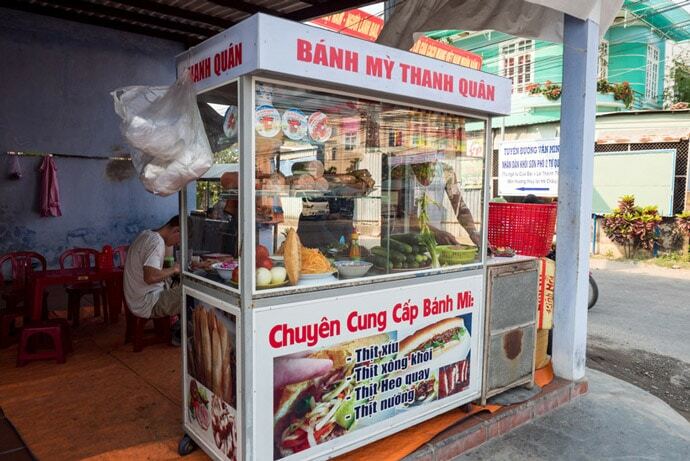 And lastly, if you’re staying in the Cam Chau area, there is another Banh Mi stall with varying opening hours on the corner of Cua Dai and Le Thanh Tong (on the left side if you’re heading towards the beach). 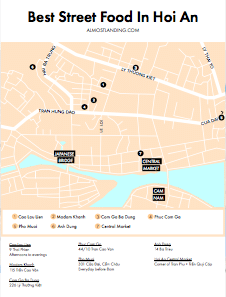 Get your free printable Hoi An Street Food Map here. 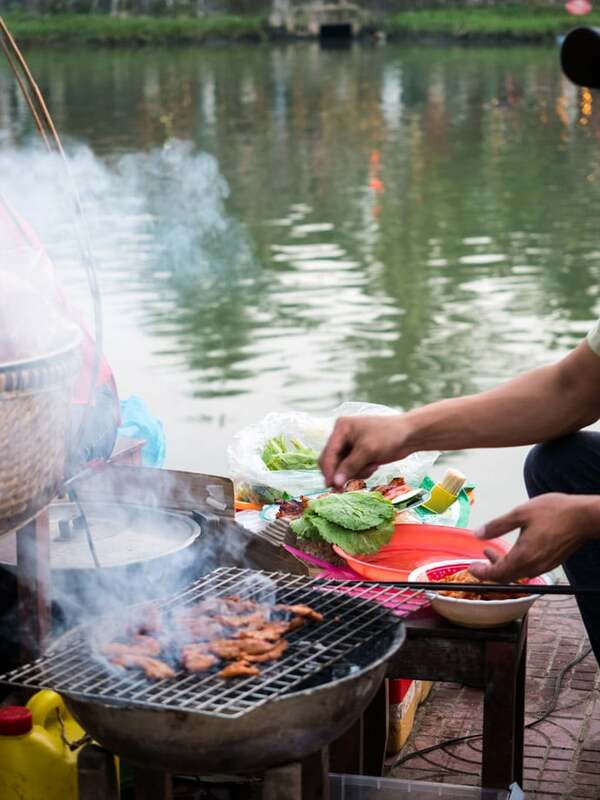 So that’s our favourite picks for Hoi An Street Food… what’s your’s? Pho Muoi is not at 301 Cửa Đại, it’s at 363 Cửa Đại. Also I tried to go around 7:45AM and it was totally shuttered, so either they’ve closed down or they’ve changed their hours or they were just on holiday!